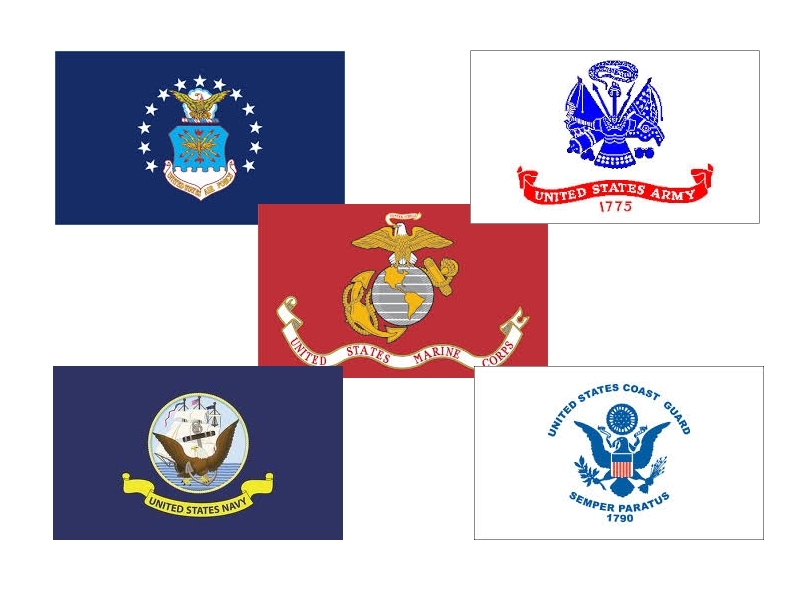 These Military flags feature the official designs for the Army, Navy, Air Force, Marine Corps & Coast Guard. Available in outdoor Nyl-Glo and indoor nylon with gold fringe and pole sleeve. We also offer a full variety of Service & support flags along with all historical U.S. Flags.